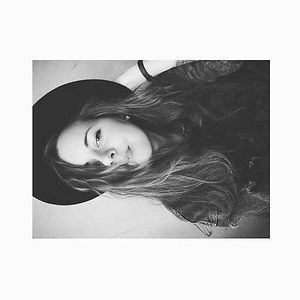 Having one of those days? With so much craziness going on out there at the moment, sometimes what we all need is a break, time to switch off from it all and just look at some pretty and happy things. 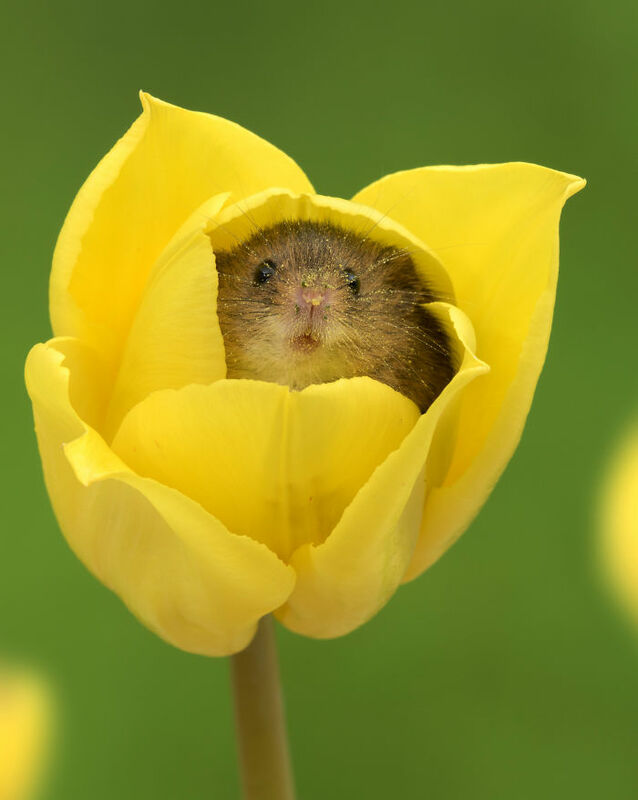 Like these adorable field mice for example. 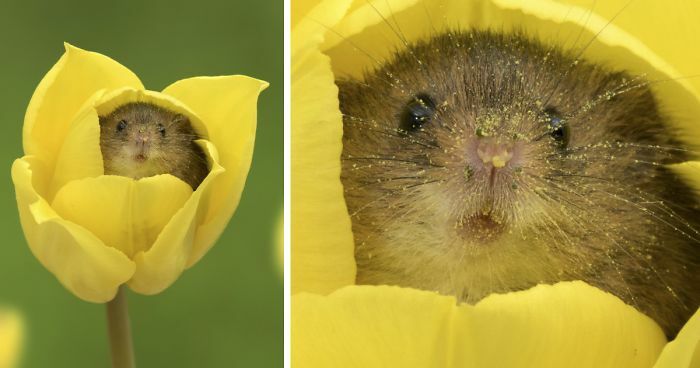 Every cute mouse gets a treat during the sessions, as they just love to eat the stamens and the nectar of the flowers, while Miles and his clients get to watch their cute little subjects going about their business while taking great close-up shots. 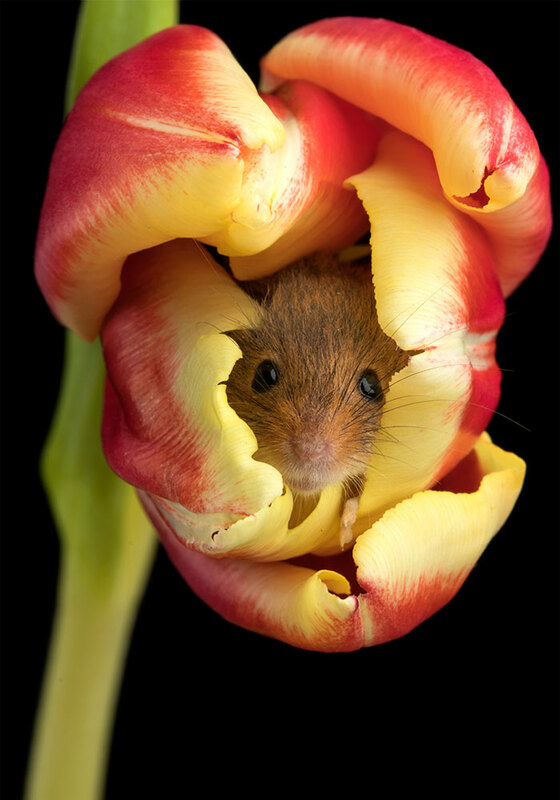 It’s a win-win situation for all involved, and you can’t fail to be enchanted by these tiny little critters, frolicking among in the tulip fields and nestling cozily amongst the petals. The photographs are beautifully taken, vividly colorful and are sure to put a smile on your face, even on a bad day. Scroll down to check out the cuteness overload for yourself, and let us know what you the comments below! 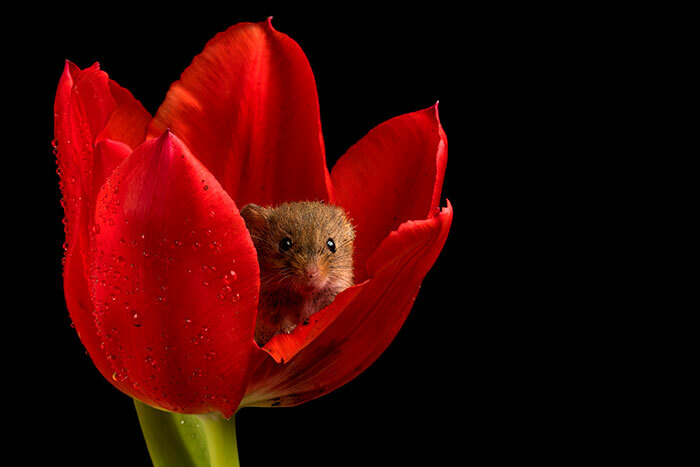 I hate to be sceptical, but that photo made me think photoshop, I doubt if a mouse could stand on a petal without bending it, maybe I'm completely wrong. These critters are cute beyond comprehension. 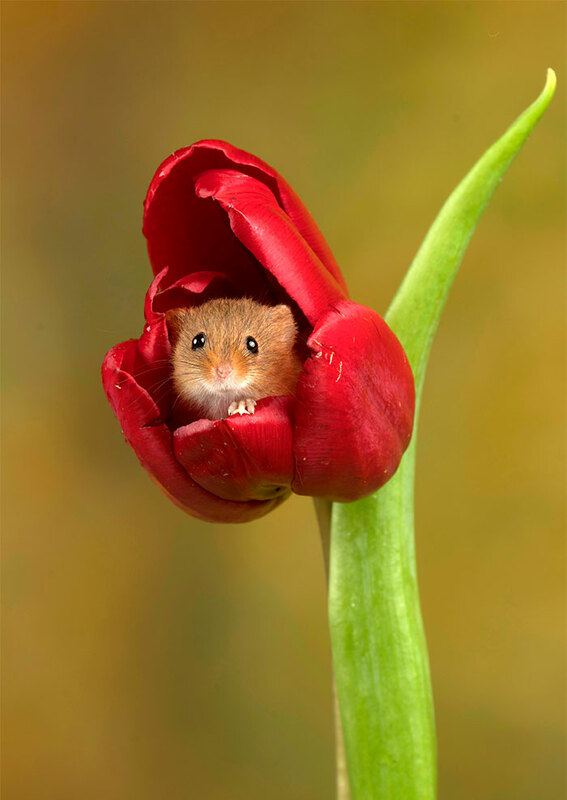 Wish I had a tulip bed with one of these adorable critters in each flower!